Easy to read Metric and Imperial measurements and a conversion chart on the back. Imperial and Metric on one side. 300mm Stainless steel rule. Right angle and 45º sliding square with spirit level and scriber. Measure from 0 to 150mm has an accuracy of 0.02 mm (half a thousandth of an inch) and an easy to read LCD display. Thumbscrew fine adjustment for accurate measuring to within one thousandth of an inch. 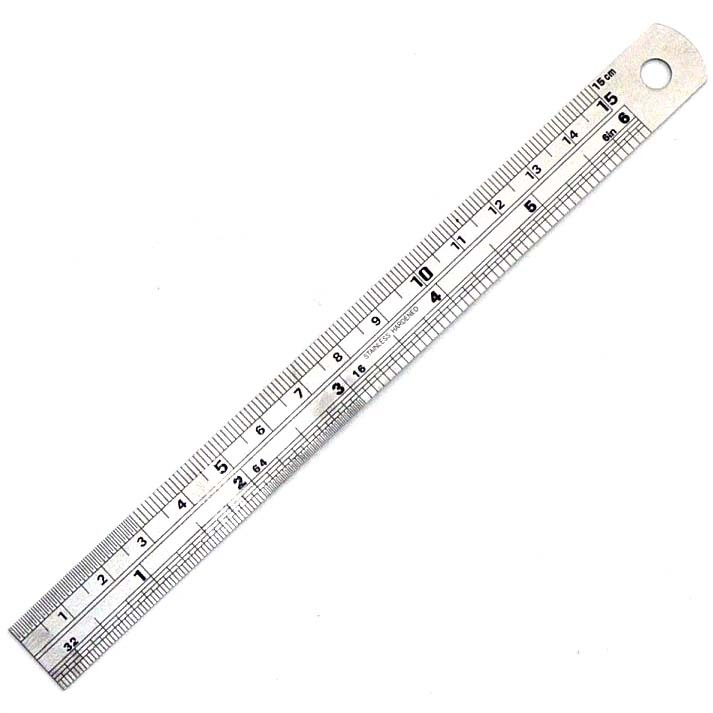 Imperial and Metric scales and will measure internal or external dimensions up to 6 inches (150mm). Measure from 0 to 150mm. Resistant to coolants, oil & fuel.